Here the key to enhance your storage capacity and get work done faster. Seagate eco-friendly hard drives provide better speed with a stable design. These smart hard drives are made for laptop, desktop and server computers. Eco-friendly hard drives enhance your computing experience by working at low power and providing reliable data-fetching speed of 5400 RPM. Seagate is the market leader in providing top-quality eco-friendly hard drives to the world. Not just that, Seagate has the lowest failure rate when it comes to enterprise hard drives. 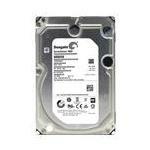 At Memory4less.com, we stock a wide range of top-notch Seagate hard drives for personal and commercial use. Just browse Seagate green eco-friendly hard drives below and buy the one that best suit your needs. These drives are available for both desktop and server computers. Upgrade today to enhance your data storage capacity.